This is not where you book online. This is just the calendar to show availability. Each section shows an individual calendar to each respective service. If you would like to find the booking forms; click on one of the three purple buttons below to locate the booking forms. 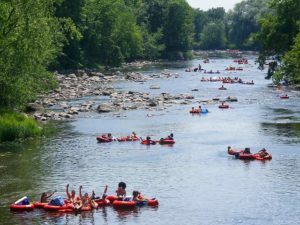 Our Kayaking and Tubing experience will begin after you book a reservation with us. This adventure will begin at the Lake Wylie Dam in Fort Mill, S.C. and you will paddle or float down stream for about 3.5 miles to River Walk. 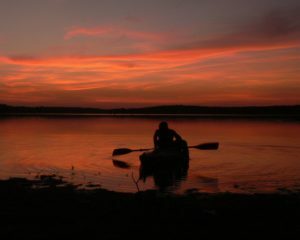 Be sure to bring a waterproof camera because you will experience lots of nature and wild life. For larger groups six (6) or more; we request that your party meet us at the Lake Wylie Dam parking area. If you have questions about transportation don’t hesitate to call. From there unload your group (unless they are small children), supplies, and anything you need to make this a memorable experience. If you need of a list of what to bring and not to bring you can find these items here! One driver from the group and/or party will drive to the end of River Walk. When we arrive at River Walk we will shuttle you back to the Dam so you may enjoy your adventure. 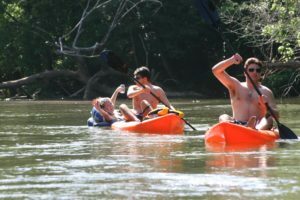 We like to have at least one member of the party or group to have a vehicle at the end of your destination so your vehicle will be there for you upon the conclusion of your river adventure. 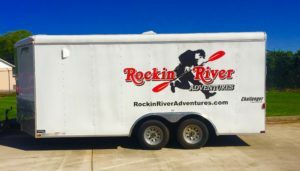 When you arrive at River Walk or the Lake Wylie Dam be on the look out for our trailer with the logo (below).